To became a Redhat Certified System Administrator you should have to know about the boot process of RHEL 6. 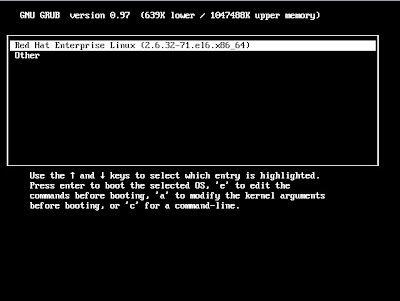 In this post I will explain you the boot process of the latest Redhat Enterprise Linux 6. RHEL uses GRUB (GRand Unified Boot Loader) as its boot loader. The step-by-step boot process is explained below. First we power on the machine, then BIOS (Basic Input Output System) takes over. BIOS is responsible to check RAM, Keyboard, Storage Devices, etc. After BIOS finds first bootable media it searches for the Master Boot Record (MBR), which contains boot code, this stage is called STAGE 1 GRUB. After Stage 1GRUB, STAGE 1.5 GRUB is consulted, which presents a menu to the user. From that menu we select the OS that we would like to boot. (Grub files are stored in /boot/grub.). After that STAGE 2 GRUB is consulted. Stage 2 GRUB sets up the environment and then calls INIT process. The INIT process is located in /sbin/init. INIT reads a special file /etc/inittab, this is a table file which contains initialization entries like default runlevel and then sets up the appropriate runlevel environment. All the scripts which are collectively stored in /etc/rc.d/init.d directory and rc.d contains runlevel directories like rc1.d, rc2.d,....rc6.d. After all these process a runlevel environment is setup and you are able to do tasks on the Redhat EL 6. Power On -> BIOS -> Searches for MBR in Bootable Media -> Finds Boot Code (Stage 1 GRUB) -> GRUB Menu (Stage 1.5 GRUB) -> Stage 2 Grub (Setup the environment calling INIT Process) -> Executes scripts of appropriate runlevel and provides the console. can we somehow log the boot events ? This is wrong. It is GRUB stage2 that presents the menu to the user. 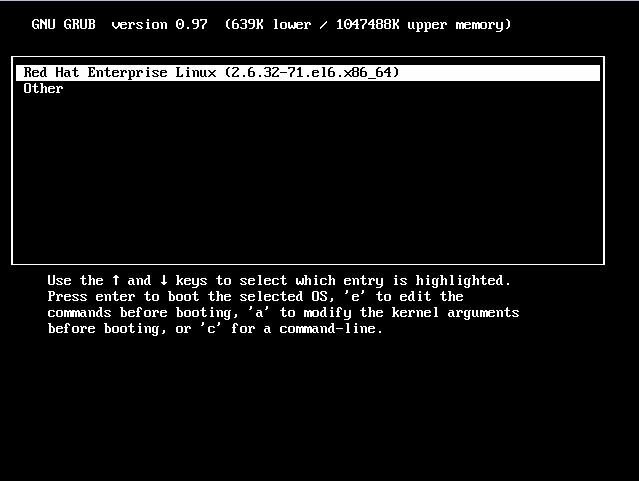 Additionally, it is the kernel that invokes init, not GRUB stage2. My vote is for Anonymous. GRUB loads and excutes the kernel and initrd images. The kernel is a mediator between hardware/software and initrd is the initial RAM disk. The kernel then executes INIT which is process 1.